Peeyush Shrivastava’s grandfather is his hero. After escaping the bloodied history of the India-Pakistan border in the 1940s, he was diagnosed with numerous neurodegenerative diseases and cardiac arrhythmias. “He’s had a very tough life, but he’s always been a very humble and kindhearted person,” Shrivastava says. During Shrivastava’s childhood, his grandfather saw dozens of specialists but made few improvements. The experience inspired him to launch Genetesis, a cardiac electrophysiology tech company, during his freshman year at Ohio State University. In the simplest of terms, Shrivastava and his team developed a patent-pending GPS-like diagnostic tool that maps the heart’s electrical activity. According to the company’s website, only 52 percent of arrhythmia patients leave with the problem corrected after their first treatment. Today’s arrhythmia diagnosis and treatment methods are only 65 percent accurate, according to the American Heart Association. Genetesis aims to raise that number. The technology is turning heads in the medical industry. Genetesis has raised $400,000 in funding since it launched in September 2013. 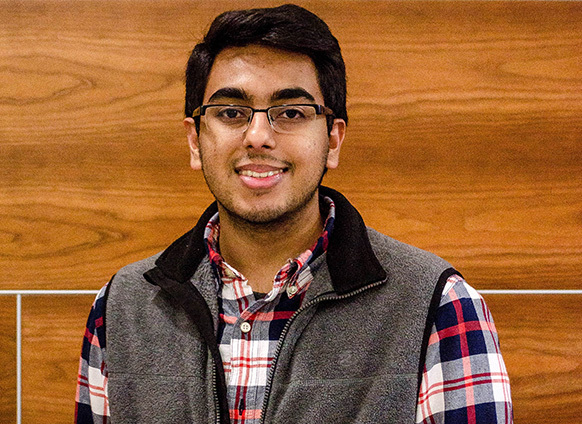 Shrivastava won the U.S. National Competition of the Global Student Entrepreneur Awards (GSEA) in March, an event hosted by the Entrepreneurs’ Organization. He also represented the U.S. at the GSEA in Bangkok in May, where he came in second place. He hopes to have FDA approval by year’s end. Related: Are You an Original?